Alfa Laval Unique Mixproof 3-Body valves enable the simultaneous flow of two different products or fluids through the same valve without risk of cross-contamination. The valve is also equipped with a changeover function. The Unique Mixproof 3-Body valve provides optimal process flow, outstanding hygiene, maximum uptime and low total cost of ownership. Its modular, three-valve-body design provides reliable fluid handling and safety, making it perfect to use as a changeover valve for hygienic applications. This translates into substantial savings and efficiency gains. Get exceptional results and save money. Replace two or more valves of other types with a single Alfa Laval Unique Mixproof 3-Body valve. Two independent plugs and the fully balanced design enable two different fluids to pass through the same valve without risk of cross-contamination even in the event of pressure shock. Enjoy long-lasting, spillage-free operation. 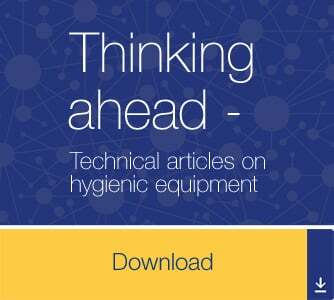 To ensure safe and hygienic operation, the double-seat design avoid cross-contamination while the double lip seals provide added protection. Maintenance and cleaning are quick and easy due to a top-loaded design, no adjustable components, maintenance-friendly actuator and built-in leakage detection on all seals. The Unique mixproof 3-Body valves is always equipped with seat lift and seat push function hence meets stringent hygienic standards. You get the full benefit of using Unique Mixproof valves by combining them with Alfa Laval ThinkTop and ThinkTop Basic valve sensing and control units. The Alfa Laval Unique Mixproof valve concept is based on a series of base components, including valve body, valve plug, actuator and cleaning options and accessories that support a wide range of applications. Using these components, you can build a Unique mixproof valve to match your exact process requirements. To facilitate maintenance, the Alfa Laval Unique mixproof 3-Body valve also features leakage detection holes that provide advance notification of wear or damage to static o-rings. Operators can visually inspect the valve at any time without having to disassemble it. The Alfa Laval Unique mixproof 3-Body valve has a normally closed (NC) mixproof seat and a normally open (NO) single seat. The valve is controlled from a remote location by means of compressed air. To separate the two liquids, the valve has two independent plug seals. The space between the two seals forms an atmospheric leakage chamber. In the rare case of accidental product leakage, the product flows into the leakage chamber and is discharged through the leakage outlet. When the valve is open, the leakage chamber is closed. The product can then flow from the upper body section to the middle body section without spillage. When the valve is closed, the leakage camber is open. The product can then flow from the low body section to the middle body section without spillage. The valve can easily be cleaned and protected against the effects of water hammer according to the specific process requirements and valve configuration. (There is no product spillage during valve operation). 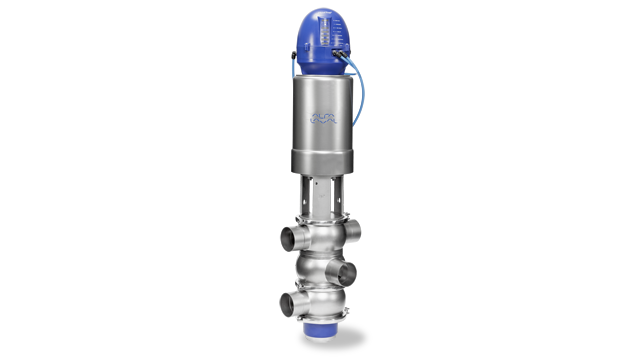 To ensure the hygienic operating condition of its Unique mixproof valve range, Alfa Laval offers its SpiralClean system to clean the outside of upper and lower balancers of the valves. Alfa Laval SpiralClean uses less cleaning fluid utilities and time; it is recommended for use in processes with a high content of dry matter. All external CIP devices for Unique mixproof valves include the SpiralClean design as standard. Another big benefit: SpiralClean enables the Unique mixproof valve to extend product shelf life. 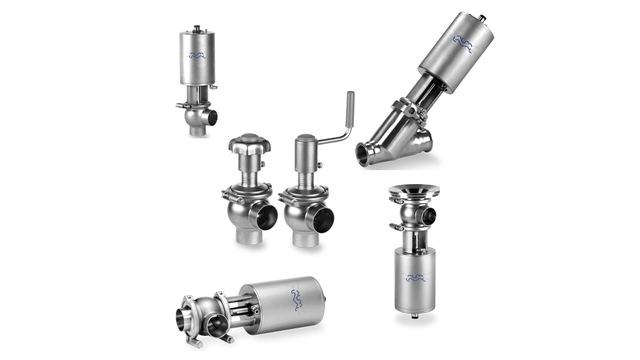 Alfa Laval offers a comprehensive range of valves intended for hygienic applications in the dairy, food, beverage,home care, personal care, biotechnology and pharmaceuticals. For a broader valve range, explorer the different product categories: ball valves, butterfly valves, control/check valves, diaphragm valves, double seal valves, regulating valves, safety valves, sample valves, shutter valves and single seat valves. Robust, reliable and versatile pneumatic single seat valves designed for uninterrupted production in a broad range of hygiene-critical applications. 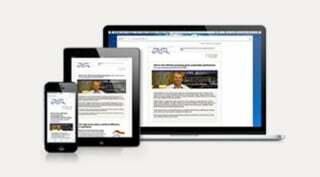 ThinkTop provides real-time information about valve operating status 24/7 while helping to improve production performance and secure traceability. Unique mixproof valves enable the simultaneous flow of two different products or fluids through the same valve without risk of cross-contamination.